Green Smoothie Intro - Got Greens? 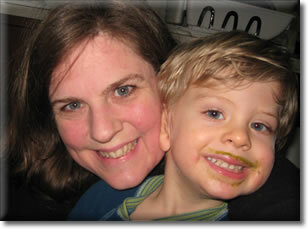 We’ve been teaching about Green Smoothies for nearly 10 years! 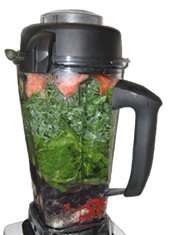 Green Smoothies are blended drinks made with fresh leafy greens in them. Quite often the greens are blended with fruit resulting in a delicious meal bursting with nutrition! 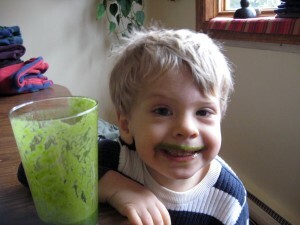 The health benefits of green smoothies are unmatched and Kids love them! Everyone has heard "greens are good for you" but few people realize the extent to which it is true. Raw Greens are one of the most nutritious whole foods we can eat but we rarely eat enough of them. Raw green smoothies are an easy way to eat your greens as they provide us with the nutrition our bodies need and can use; they are loaded with anti-oxidants, vitamins, minerals, live enzymes, phytonutrients and amino acids (protein). The truth is, you can get more nutrition in a pint of green smoothie than most people get in a full day of "normal" eating! Green smoothies taste great, contrary to what people think before trying them. And children love them. As you become accustomed to drinking them, your body will want more and you will crave more. "There is no better smoothie than a green smoothie". It is hard to transition away from dietary programming and change habits that are not good for us. By adding green smoothies to your current diet, you will get more nutrition then you have before, reap incredible health benefits and positive changes to your overall diet will occur. An amazing transformation can happen when you do nothing but add green smoothies to your daily routine. As your body relishes in the abundant nutrition you feed it, it will ask for more and will crave junk food and "bad" food less. As fantastic as raw greens are, we would have to chew for a very long time with each bite to get them to the creamy consistency necessary to take advantage of all the nutrition they hold. That’s because nutrition lies within the plant’s cell walls and plant cell walls are one of the strongest things in nature. You won’t, or can’t, take the time to chew those green enough and it’s hard to eat a bunch of kale for a meal. Making green smoothies enables you to consume more greens and allows your body to use the nutrients within them. 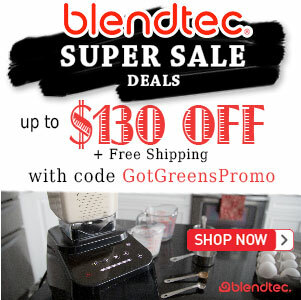 High speed blenders, such as a Blendtec or Vitamix, are great green smoothie blenders as they break down whole foods to the cellular level and beyond, making the bounty of nutrients readily available for your body. 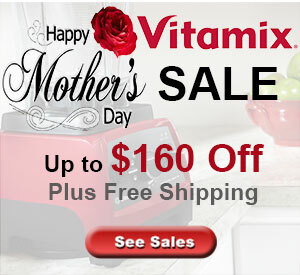 See our Blendtec vs Vitamix comparison for more info. While nothing beats a Vitamix smoothie – ANY blender will do. "So how good for me are they?" … you ask. Best of all these things are delivered to us in green smoothies as natural whole foods via the closest source to the life giving sun and they are never pasteurized. cholesterol, saturated fat, hydrogenated oils (trans-fats), MSG, GMOs, added hormones, antibiotics, artificial color, artificial flavor, artificial sweeteners, preservatives, nor refined sugar. They are in NOT associated or linked with disease such as cancer, heart disease, anemia, diabetes, high blood pressure, obesity, arthritis, constipation, gallstones, indigestion, stroke, varicose veins nor piles. 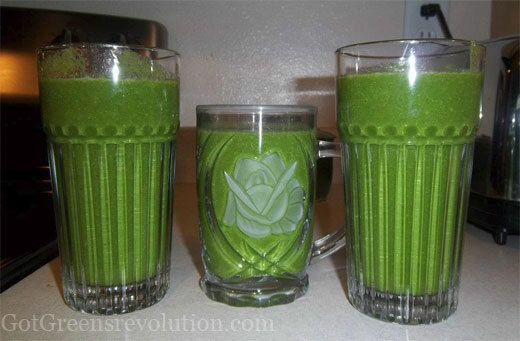 Drinking green smoothies helps the body to prevent and heal disease. If you are just beginning, it is best to start with a 80% fruit to 20% greens or less. As you get used to drinking them you can increase the amount of greens. The most important thing is to have a green smoothie in your hand that you want to drink, work on creating green smoothie recipes that you want to drink. The green smoothies you make are never pasteurized! Why is that a big deal? Because pasteurization is a high temperature process that destroys living enzymes and nutrients. So while you think that expensive, fancy bottled smoothie you bought at the store is sooooo good for you… the fact is, it is nowhere near as good for you as it could be.